How to foster an atmosphere where new ideas are celebrated and the gospel is honored. Three starter principles to help an existing church move from stuck and dying to healthy and innovative. It's time to be daring. To put art, creativity, passion and beauty front-and-center in the church again. The Gatekeepers are Gone: What’s Holding Your Ministry Back? The era of needing approval to produce and distribute great ministry content is over. We just need to do it. The church needs to build bridges to the culture if we hope to reach it. But there are some bridges I won't cross any more. Boring churches won’t change the world. But the quirky ones might. 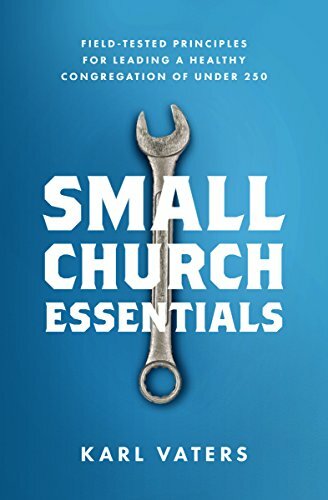 Small churches need to be innovative because we don't have the resources to be normal. Gimmicks are like candy. They're fun for a moment. But you can't build a steady diet – or a strong church – on them. A pastor who stops learning, stops leading. And a pastor who stops leading, stops pastoring. Even if they stay on the job. Every creative Christian has been criticized. We remember the creatives. We’ve forgotten the critics. Churches on offense don't have to be offensive. We can meet people where they are while staying true to our message. Here's a great way open your church up to innovative new ideas by minimizing the risk – or at least the sting – of failure. I don't need a Hollywood-level production, just a genuine, healthy expression of worship and fellowship. Don't copy the churches you admire. Learn from their principles. Then extend them into places that only your church can go. Sometimes ‘God deserves our best’ can serve as a cover for our pride. God also wants our second best. And our worst. And everything in between. Church leaders need to spark the creativity of innovative believers by figuring out how to say yes to their passion. Adapting to new methods to tell the old, old story may be our greatest defense against unbiblical compromise. Where are the Christian innovators who will put a dangerous passion for Jesus ahead of personal ministry success? The Right Way to Do Church? Let's stop looking for a one-size-fits-all way to do church. And stop insisting on it for others. Butts-in-the-seats growth is great. But it’s not going to happen for every church. That's never a reason to give up, coast along, or offer excuses.